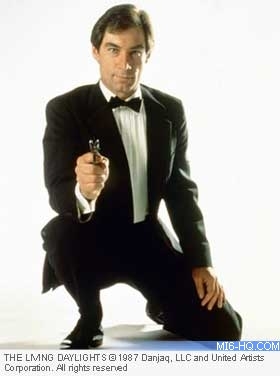 The fourth man to play 007, Timothy Dalton, is celebrating his 66th birthday today. It was 25 years ago that the Welsh stage and screen actor exploded onto our screens as James Bond in "The Living Daylights". Timothy Peter Dalton was born on the 21st of March 1946 to an American mother and English father, who was both a solider and a successful advertising agent. The eldest of five in the family, Dalton grew up in Colwyn Bay, Wales, where they resided from the time of his birth. At the age of four, the Dalton family moved to Belper in Derbyshire (just south of Manchester), England, where the young Timothy was enrolled in a local Grammar school in Manchester - he thrived on sports and sciences before catching the acting bug.